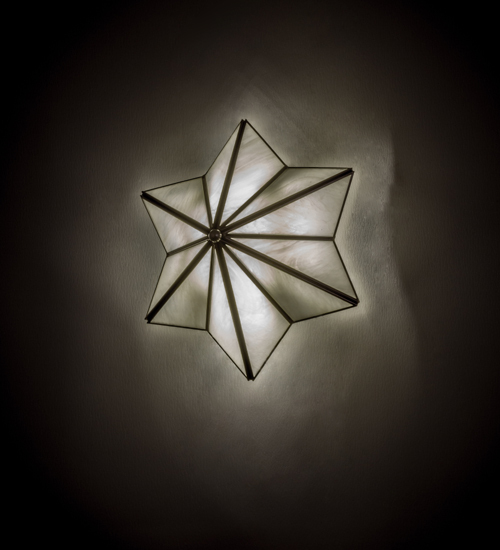 Description: Like a proud evening star shining among the heavens, this six pointed Star wall sconce is custom crafted from White Art Glass with straight line accents featured in a Brushed Nickel finish. This brilliant Star provides magical illumination and beautiful ambient light as integral LEDs deliver significant energy savings, reduced maintenance and long lamp life. Custom colors, styles and sizes are available, as well as dimmable lamping options. The fixture is UL and cUL listed for damp and dry locations.